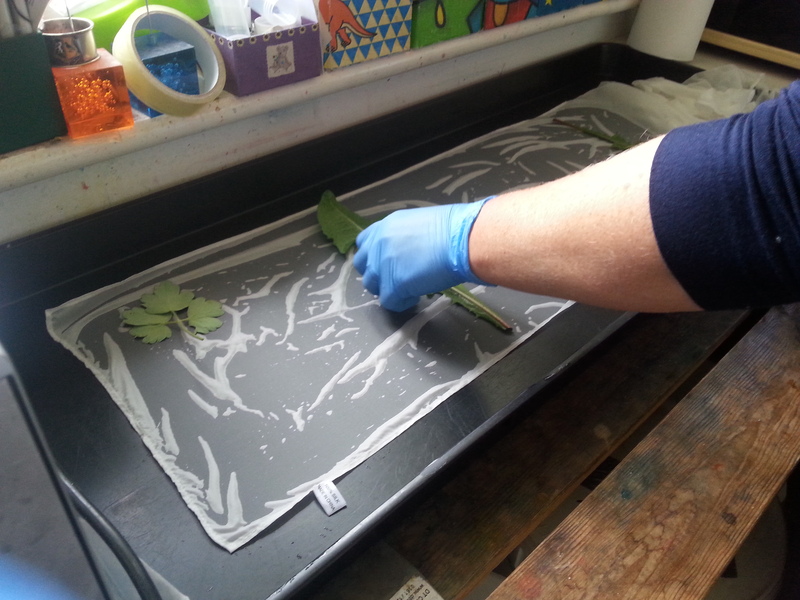 Here’s a brief pic-torial to accompany our ‘Just Add Leaves’ eco-printing and bundling kit. 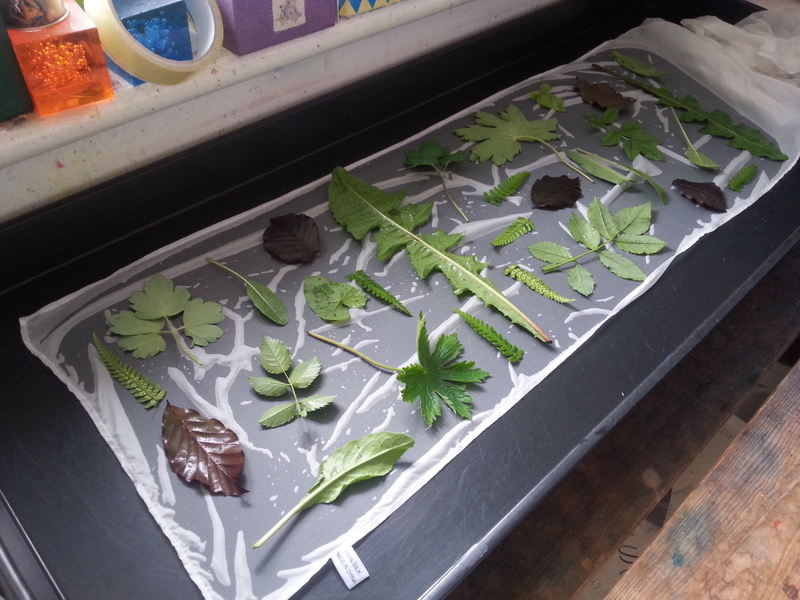 There are, of course, full instructions in the kit but to give you a taster of what you can do with the kit, here’s my quick ‘how-to’ showing one method of printing onto fabrics and paper with leaves and plants from the garden…. Check you have all your materials ready and have read the health & safety guidelines. 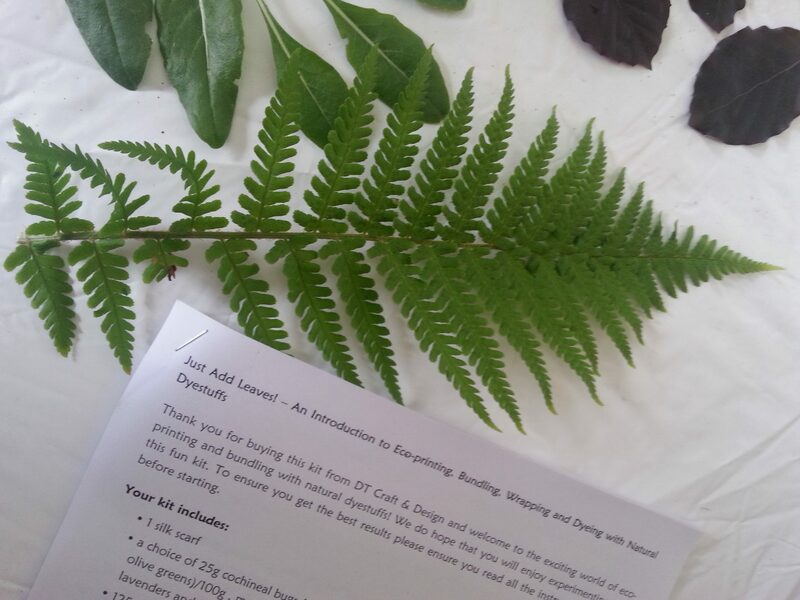 Select a range of leaves, thinking about texture as well as colour. Don't pick plants that may be toxic or irritant and pick hedgerow plants that aren't rare or endangered. 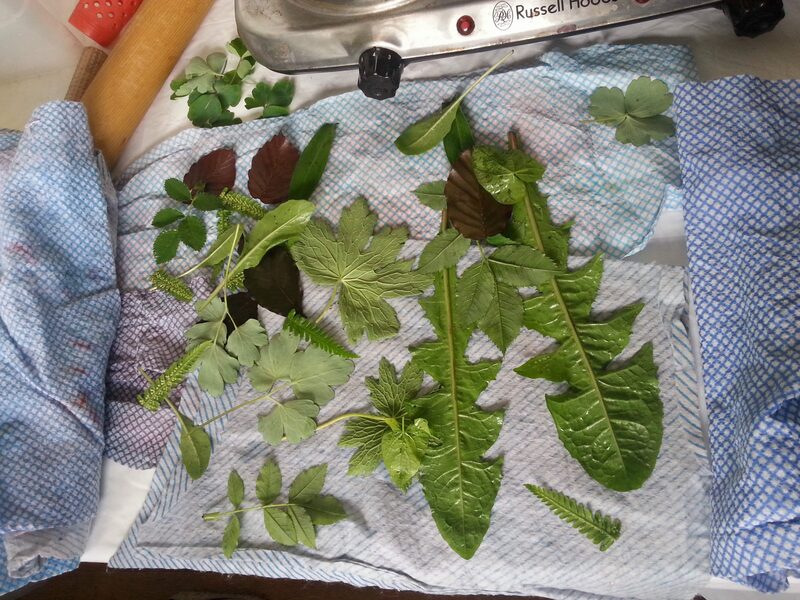 Select a range of leaves/flowers/stems (I've used dandelion, copper beech, rose, geranium, aquilegia). Rinse briefly in water. 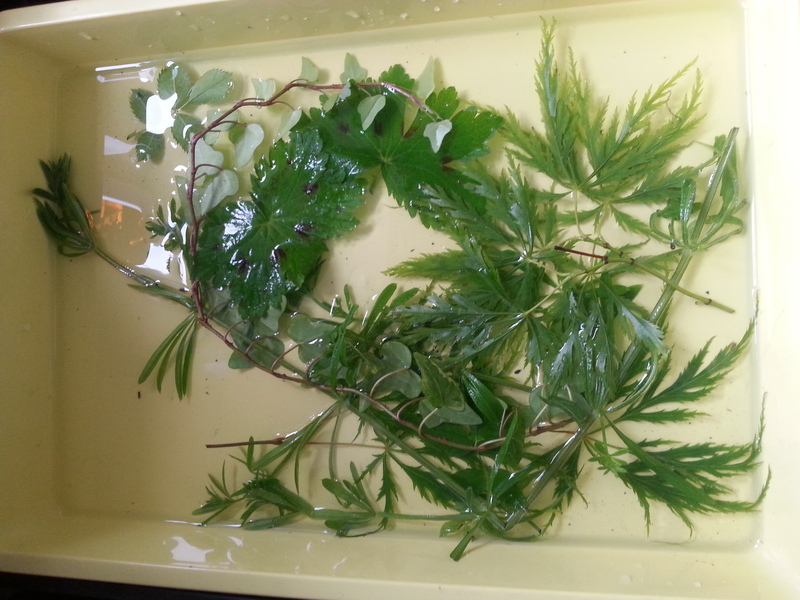 If desired, dip some or all of your leaves in an iron water solution using the ferrous sulphate in your kit. 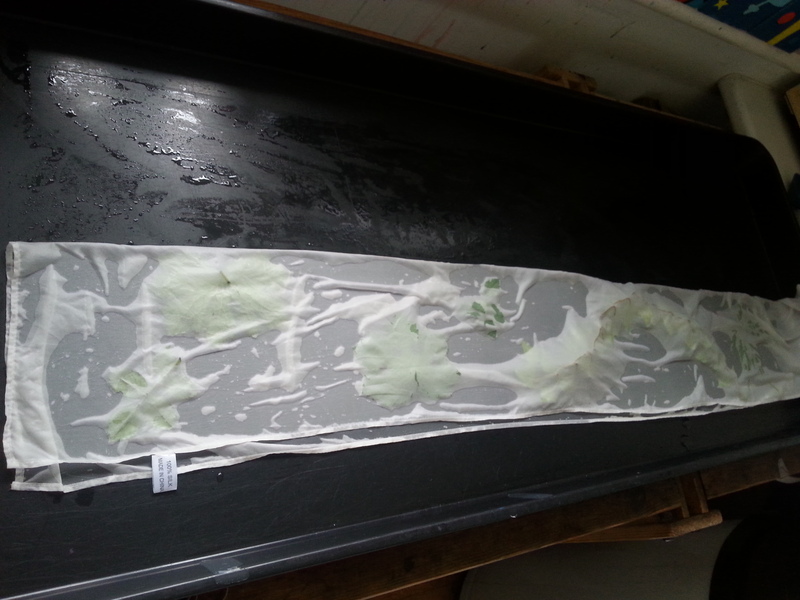 Dip some or all leaves in iron solution. Use a pinch of the ferrous sulphate from the kit and dissolve in a dish of warm water. 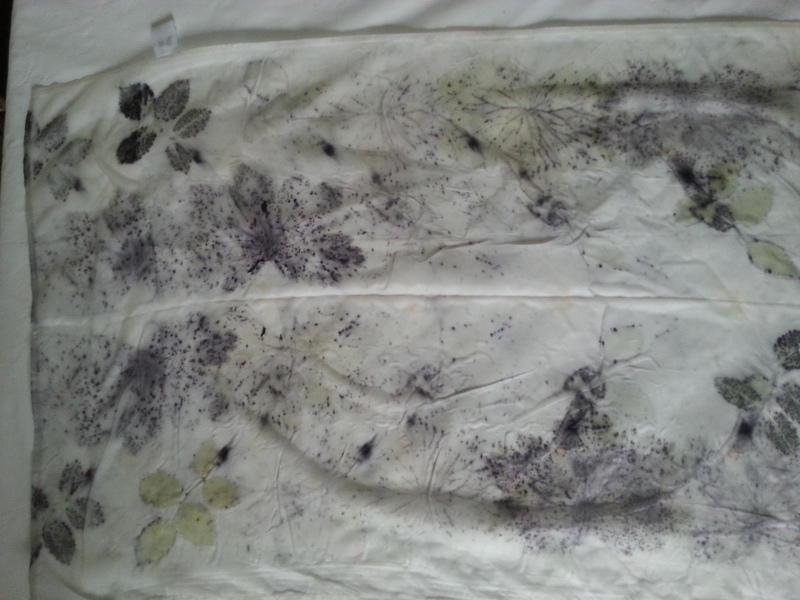 Blot leaves before adding to scarf to give cleaner print lines. Wearing gloves, lay out leaves on the damp scarf, pre-mordanted with the alum in your kit. 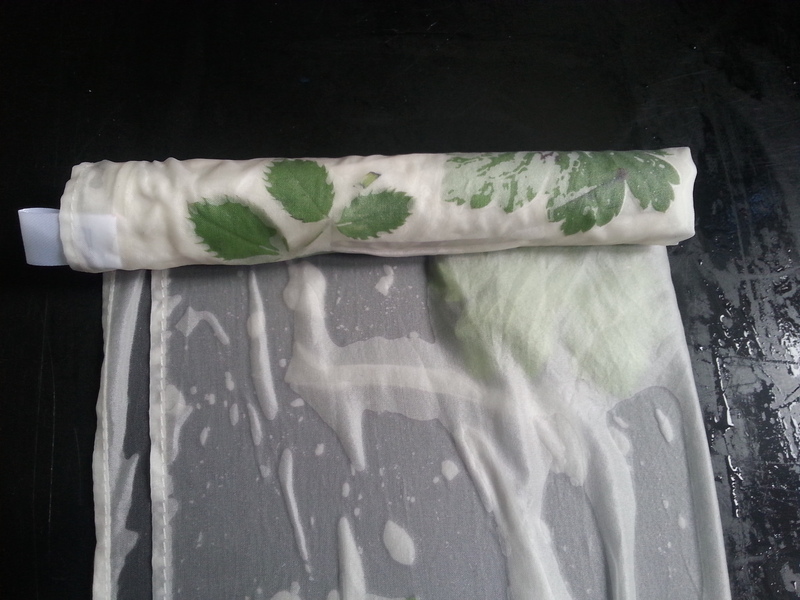 Fold the silk scarf in half, lengthwise or horizontally depending on your leaf pattern. Wrap scarf tightly around the tube included in the kit. Secure the scarf tightly around the tube by wrapping with the elastic bands or cord included in the kit. Once scarf is tightly rolled around tube, secure with elastic bands from the kit or wrap the cord tightly around for additional patterning. 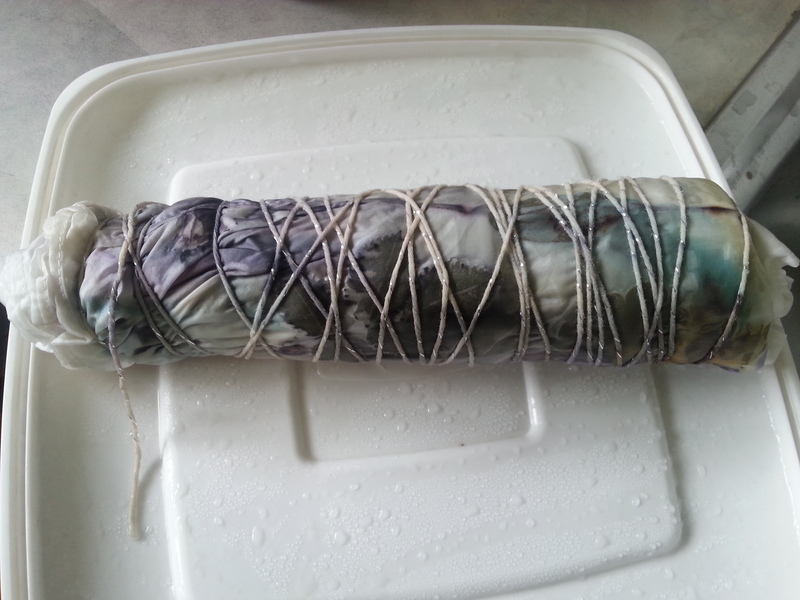 Cook the wrapped scarf in a steamer or double-boiler for around 2-3 hours. Cook the scarf by steaming in a pan/double boiler for around 2-3 hours. 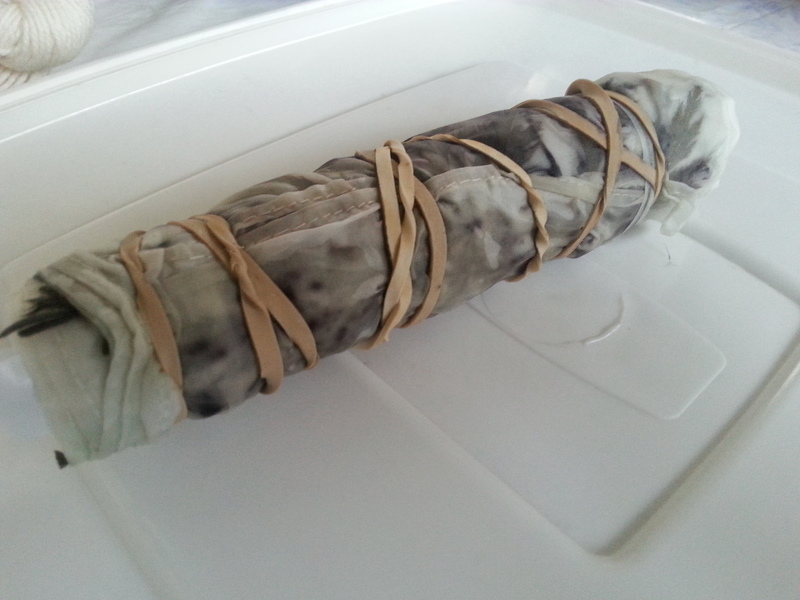 Allow the wrapped scarf to cool and leave to cure, ideally for several days for best results. 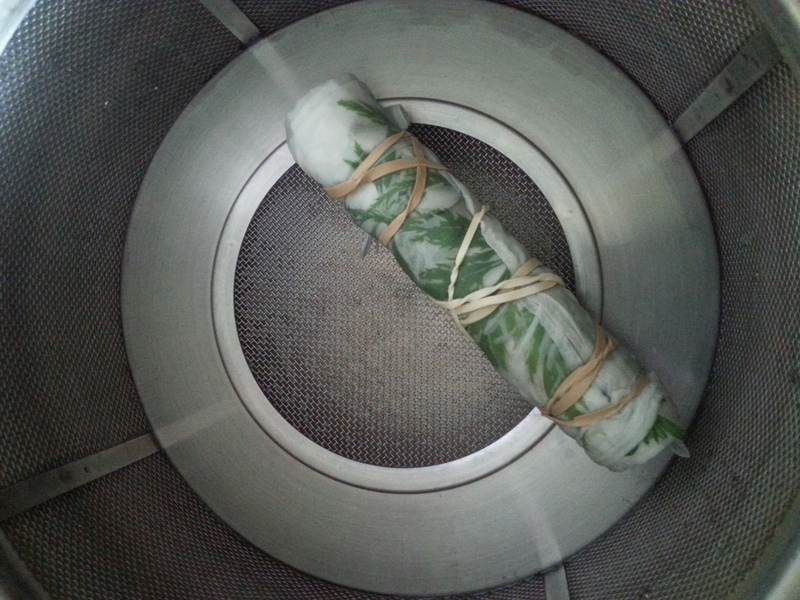 Leave to cool completely, ideally for 2-3 days for best results. The cord in your kit will take up the dye and can be used later for mixed media work, embellishing or gift-wrapping! 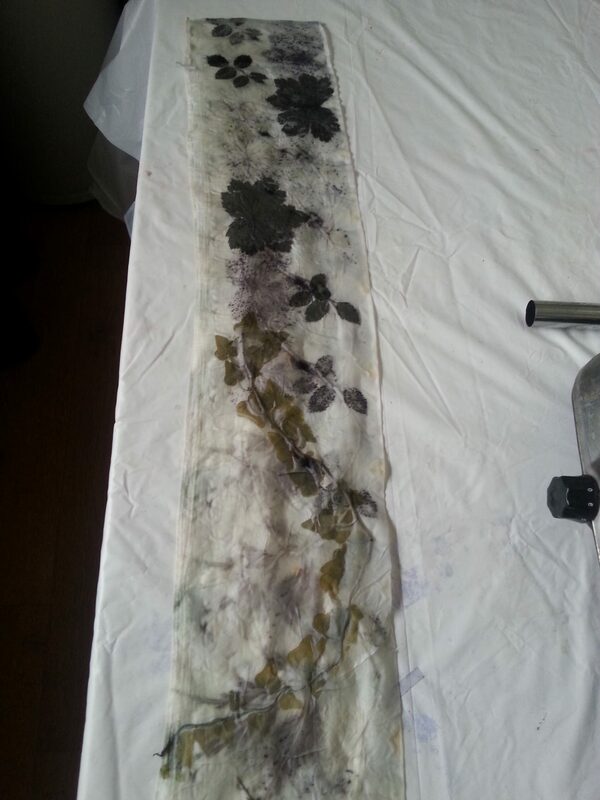 Unroll the scarf and allow to dry flat for a further week (or as long as your patience will allow!). 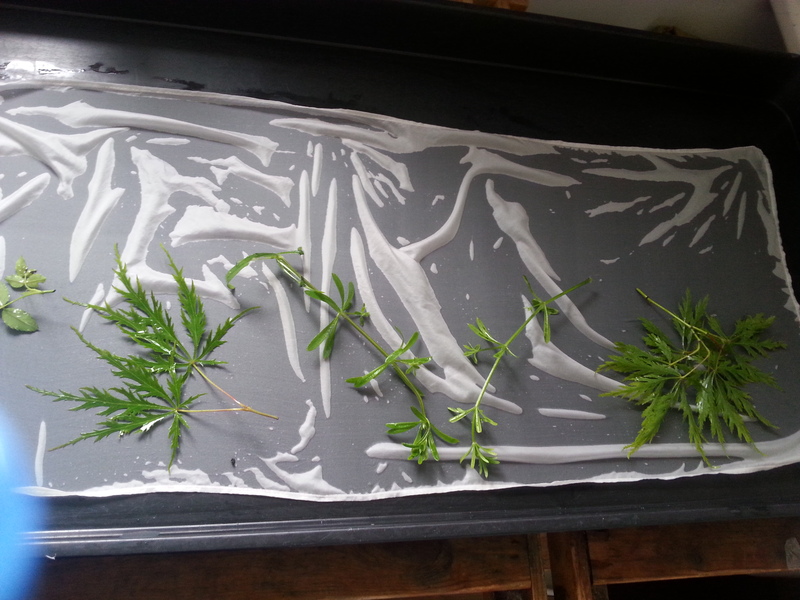 Unroll and allow to dry. Leave for a further week (or as long as you can bear!). 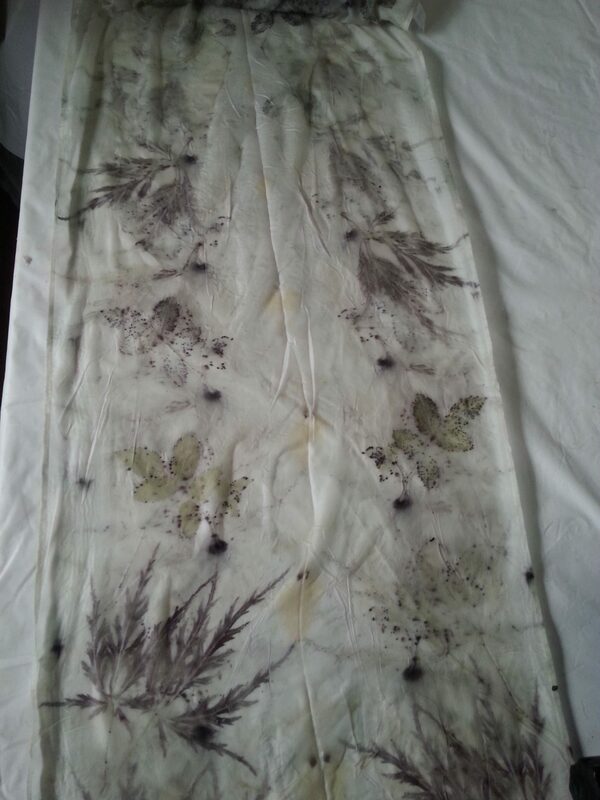 Once your scarf has cured, remove the leaves, rinse in cool water and a mild, pH neutral shampoo, dry then iron. Note how the iron-dipped leaves are dark grey, almost black. The undipped leaves will produce different colours. 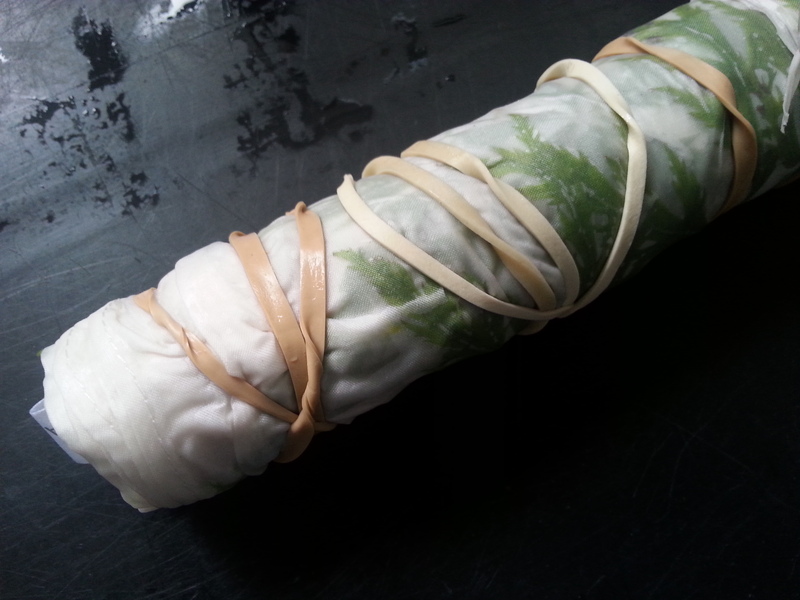 Wrapping tightly brings out the detail in the leaves. 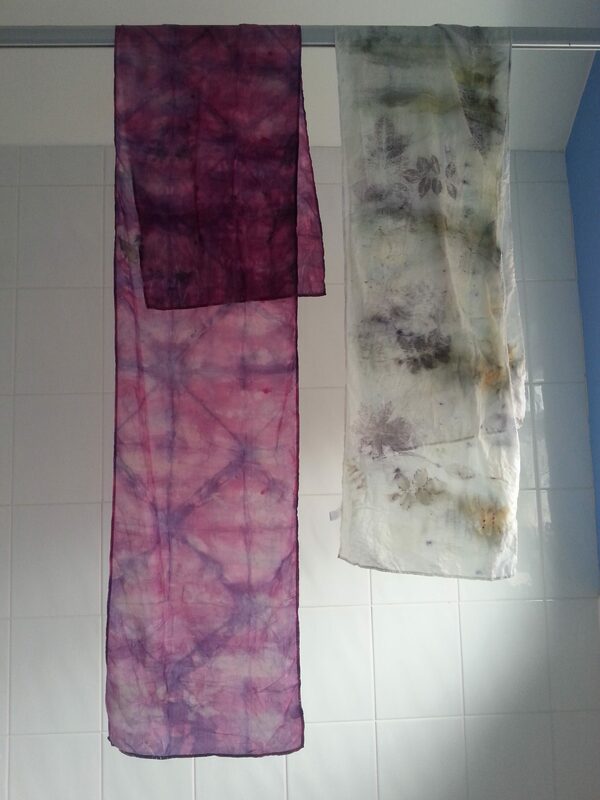 In addition to a luxurious silk scarf, wrapping tube, wrapping cord and elastic bands, our kit also includes one of our lovely new natural dyestuffs. Choose from madder roots for reds, oranges and browns; cochineal bugs for pinks, reds and coral; fustic chips for rich golden yellows and olive greens and logwood chips for purples, lavenders, lilac and grey. For more information and inspiration, do also check out India Flint’s book, Eco Colour, available from our website.